When it comes to cake stands, I’m a real sucker. 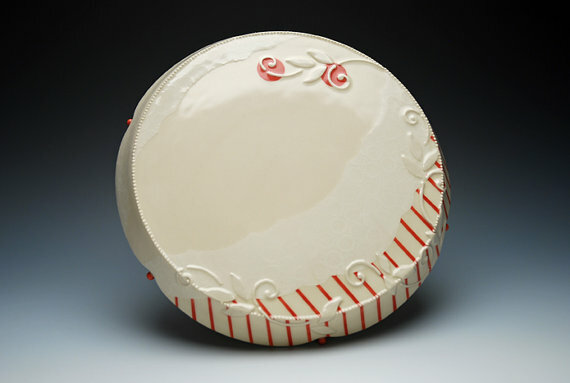 There’s nothing like a cute pedestal to add some extra fun and sass to your cake presentation and these cake stands by potter Kristen Kieffer will definitely do the trick! Created by Kristen in her workshop in Massachusetts, the stands manage to be simultaneously vintage and modern. 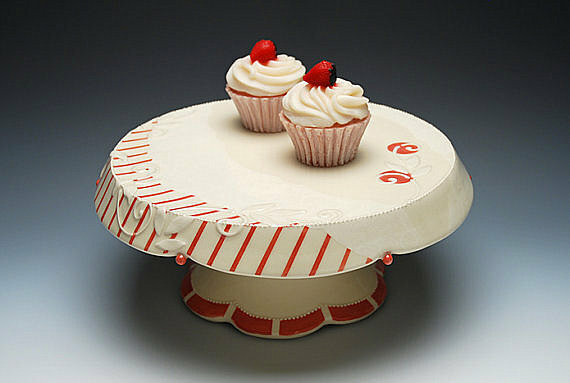 I love the deco elements and the red and white carnival like stripes on the cherry piece. So fun! 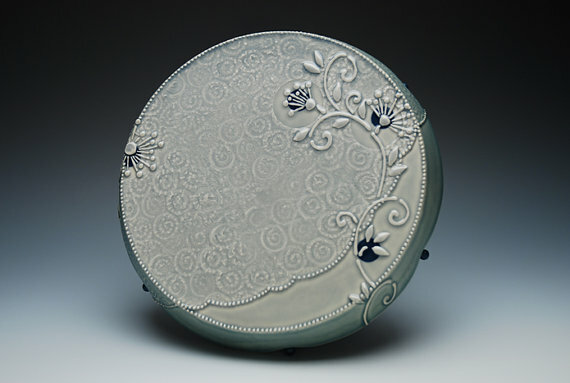 From Kristen: All of my pottery is one-of-a-kind, and designed and handmade by me alone in my studio. I threw this form in two parts on the potter’s wheel, and later carved the foot and “skirt” to create a playful undulation. I decorate the surface with sponged and trailed slip (the clay version of, well actually, cake-decorating) in shallow textures of swirls, dots, and patterns. 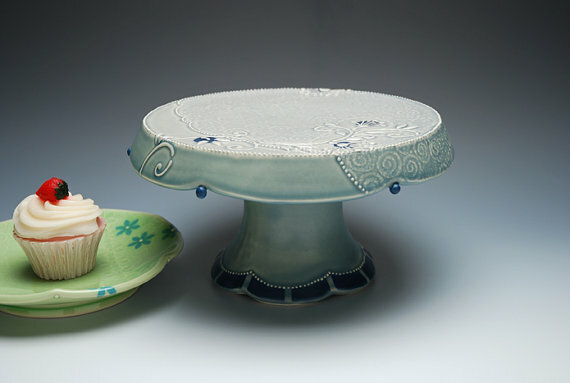 My influences vary from Art Nouveau to Haute Couture and furniture to fondant, and these stands bring it all together! Thank you, Erin! I'm very much a fan of your blog ~desserts are a big influence!~ and appreciate the post.